Dr. Robert J. Kay, Chiropractor, Naturopath, Certified Veterinary Chiropractitioner and Certified Nutritional Consultant. Dr. Kay is an internationally recognized researcher, practitioner, and educator in the natural health field. He has been heard on nationally syndicated radio shows and has hosted a weekly radio talk show on a local Baltimore station. Dr. Kay has been practicing in Hanover, PA. since 1992, Ellicott City, MD. since 1987 and Mt Pleasant SC. since 2009. 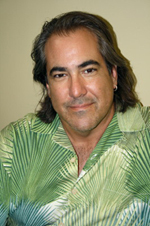 Dr. Kay is a 1986 graduate of Life Chiropractic College, where he spent several thousand hours of extra-curricular study in Applied and Clinical Kinesiology, Acupuncture, Oriental Medicine, Thompson, Diversified and Sacral Occipital Techniques. He also studied Contact Reflex Analysis, NLP, Cranio-Sacral Therapy, Body Integration and is the founder of Body Energetics Technique. He obtained his Naturopathic degree through the Clayton School of Natural Healing. Dr. Kay spent several years studying under the founders of Clinical Kinesiology and Body Integration Technique and was a founding member of the prestigious Wellness Center Research Group in California with the likes of Dr Rene Espy, Dr Linus Pauling, Dr Michael Colgan, Dr Gaston Naessens. He is the author of four books on Body Energetic Technique. In 2016, Dr. Kay retired from pracitce in MD and PA and is currently a professor, teaching health sciences at a local University in SC. Dr. Kay is a member of The Pennsylvania Chiropractic Association, the American Association of Nutritional Consultants, the International Association of Veterinary Chiropractitioners and the President of the South Carolina Chiropractic Physicians Association. 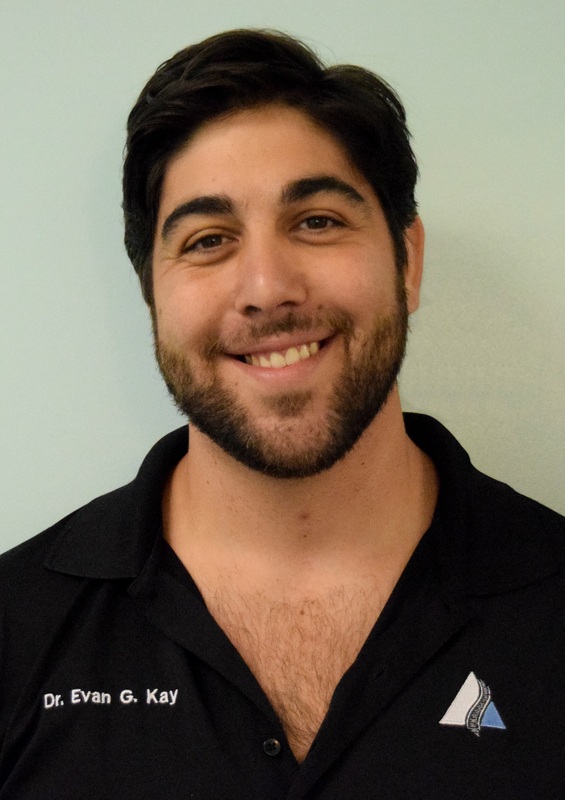 Dr. Evan G. Kay D.C. is a Chiropractor with Kay Chiropractic & Natural Health Care Center (PA), Triad Holistic Health Center (MD), and Body Energetics A Natural Health Care Center (SC). Admitted to practice Chiropractic medicine in the states of Maryland, Pennsylvania and South Carolina. Dr. Kay is a graduate of Parker University, where he received his BS in Health and Wellness in 2011 and Parker College of Chiropractic, where he received his Doctor of Chiropractic degree in 2013. He spent several hundred hours of extracurricular study in Diversified, Gonstead, Thompson, Sacro-Occipital, Activator Methods, Extra Spinal Analysis and Technique, Upper Cervical Technique, Radiology, Veterinary Orthopedic Manipulation, Oriental Medicine, Phenolics, Homeopathy, Herbology, Nutrition, NLP, Clinical Kinesiology, and Body Energetics Technique. Dr Kay is certified in Body Energetics Technique, NBCE-Board Certified Chiropractor, 2013, NBCE- Board Certified Physiotherapy, 2016 AFPA Certified Personal Trainer, Veterinary Orthopedic Manipulation, AANC- Certified Nutritional Consultant, Activator Methods Technique, American Red Cross: Administering Emergency Oxygen, American Red Cross: CPR/AED for Professional Rescuers and Health Care Providers, American Red Cross: Blood-borne Pathogens Training, American Red Cross: Emergency Medical Response. He is a member of Body Energetics Technique (Board of Directors), Kay Chiropractic & Natural Health Care Center, Body Energetics A Natural Health Care Center, The International Association of Veterinary Chiropractitioners, American Fitness Professionals & Associates, The American Association of Nutritional Consultants and Triad Family Health Centers.